Morocco, which has shown a great deal of patience vis-à-vis its Algerian neighbor since the beginning of the Western Sahara conflict in the mid-70s, decided to adopt a new offensive strategy in the diplomatic battle opposing it to Algeria and its protégé, the Polisario. “Our conflict today is not with the Polisario but with Algeria,” said Moroccan Foreign Minister, Salaheddine Mezouar, in Rabat on Thursday during a hearing before the Foreign Affairs committees of the two houses of the parliament. The Moroccan official who seemed very angry at Algeria for its open hostility towards Morocco described as “pathetic” the methods used by the Algerian regime in the Sahara issue. He recalled in this respect that the Algerian regime has spent lately huge amounts of money to gain support to its thesis on the issue and is surely not alien to the decision made by the African Union (AU) to appoint a special envoy for the Sahara. Morocco, which slammed the door of the pan-African organization in November 1984, has categorically rejected the AU’s latest decision and reiterated that the UN remains the only valid interlocutor in the settlement process of the Sahara conflict. For the Moroccan Foreign Minister, no solution is acceptable if it does not respect the Kingdom’s sovereignty and territorial integrity. The MPs of both chambers seized the opportunity of the hearing to condemn the Algerian regime’s furious hostility against Morocco. The MPs called for a greater offensive of Moroccan diplomacy, both the official and the parallel diplomacy, to better defend the country’s territorial integrity and to derail all plots hatched by the Algerian neighbor. They also called for the immediate implementation of the autonomy plan in the southern provinces, waiting that the international community persuades Algeria to engage seriously, as an involved party, in the settlement of the Western Sahara issue. In view of the current deadlock, Rabat says that it will implement as of 2015 its autonomy plan and its regionalization scheme, starting with the southern provinces. 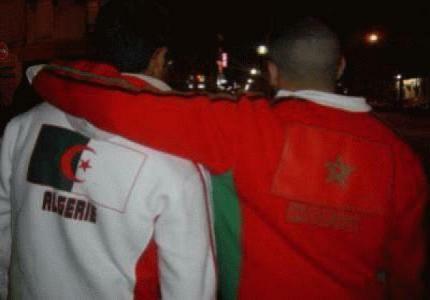 It seems that tension between the enemy brothers has escalated and that Morocco’s patience is running out.